Typhoon KAJIKI has increased its intensity with well-developed clouds at the core. It may intensify further when approaching Ogasawara Islands. 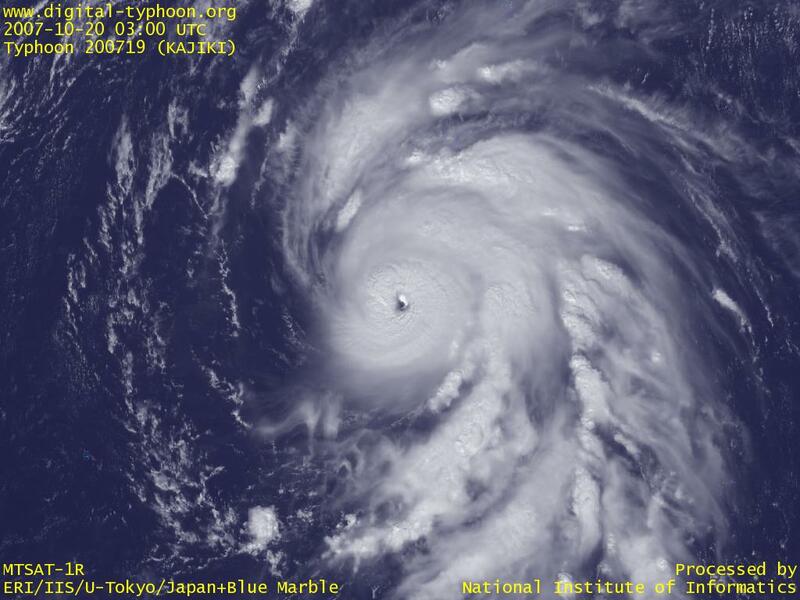 Typhoon KAJIKI was formed in Mariana Islands. The forecast says that the typhoon will not intensify so much, but the forecast track shows that Ogasawara Islands may be affected by the typhoon.